The Rev. Dr. Andrea Ayvazian (left) is the senior Pastor of the Haydenville Congregational Church, United Church of Christ, in Western Massachusetts. Andrea was formerly the Dean of Religious Life at Mount Holyoke College. A long-time activist for peace and social justice, Andrea is an anti-racism educator, singer and songwriter. She lives in Northampton, Massachusetts with her partner, Michael Klare. They have one grown son, Sasha. 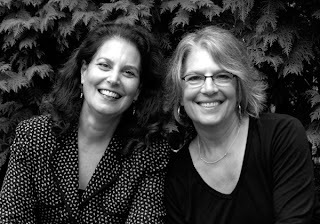 Ellen Augarten (right) grew up in Queens, New York and came in the mid-1970s to Western Massachusetts, where her career in portrait photography began and grew. She received her Master of Fine Arts degree from Hartford Art School at the University of Hartford. An active community member, she lives in Northampton, Massachusetts with her husband, Mark. They have two grown children, Libby and Noah.